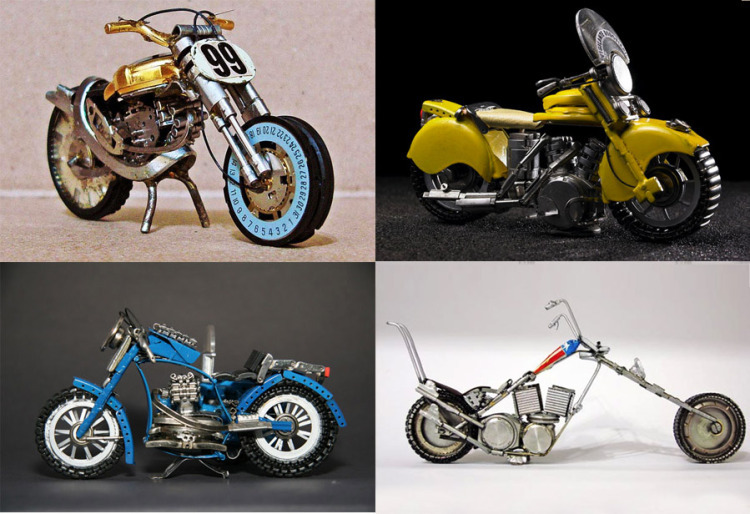 Jose Geraldo Reis Pfau from Brasil makes these miniature motorcycles all exclusively from watch parts. His passion for motorcycles began in the sixties. He used to have several types of motorcycles, and all of them were modified and some inspired on the movie “Easy Rider”. He has even created a miniature Easy Rider bike. Pfau makes the miniatures on the weekends. It is a personal collection and they are not for sale yet, but he hopes to be able to sell them in the future. How amazing are these bikes? Put me down for a Rolex Cafe Racer, Tag Tracker and a Breitling Bobber.